In recent years, network coding has becoming an appealing research area that can provide significant throughput improvements in wireless networks. Judging from the origin of traffic sessions used for encoding, network coding can be categorized into inter-session network coding and intra-session network coding. 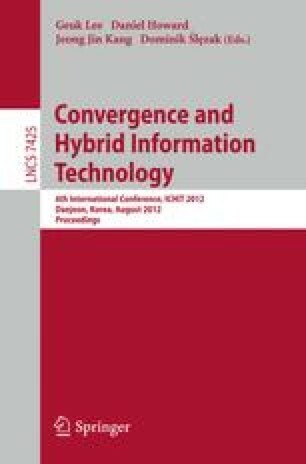 Two of the most representative works in inter-session network coding and intra-session network coding are COPE  and MORE  respectively. Ever since their publication, numerous new protocols have been developed, however, majority of these work are either aimed to explore the potential benefits that can be obtained from network coding, or to simplify the protocol design, and no realistic performance comparison between them is available. In this paper, we evaluated the performance of COPE and MORE in NS2 through extensive implementation. And the performance differentials are analyzed by changing various network parameters, such as traffic load. This work was supported by the National Research Foundation of Korea (NRF) grant funded by the Korea Government (MEST) (N0. 20110027611).